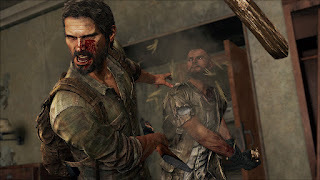 I agree that The Last of Us is a poor example for that article, since it appears to be a game about violence instead of just a violent game, but it's hard to say until we've seen it in person. 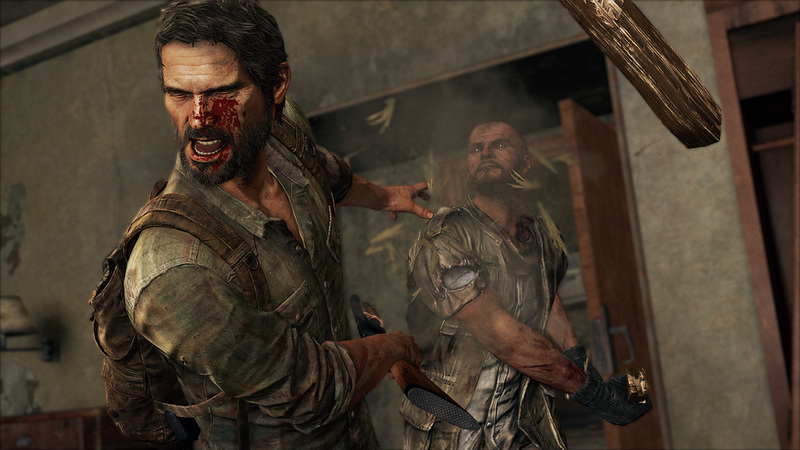 Violence and fancy graphics are just tools in the developer's toolbox, and they aren't always used appropriately. Are games leaning on them too heavily these days? I think so. Are there people who are only interested in those types of games? Probably. But if a game like Minecraft can sell nine million copies, I think it's safe to say that there are plenty of people interested in making and consuming games that focus on a different set of tools. You guys really do need to play through Spec Ops: The Line, though. It's far from perfect, but it does some very powerful things with the narrative, especially in the second half, that are unlike any game that I can remember. Hey there Guys, I just listened to this episode, and I'm glad you looked at this topic. The climb toward photorealism is one that I've thought about since at least the playstation era, when pre-rendered graphics became a thing. But actually, deeper than that, I think of a comparison to painting. When I was young, I rejected abstract art, and I thought that realism was the way to go. A beautiful landscape, a cabin, some dude on a horse - wow! How skillful! But let me tell you, I got a look at some pictures of Kandinsky abstract deconstructionist stuff the other day - Wow! I mean wow. One after the other was immediately compelling, even though it didn't appear to make any sense. It was the design that was skillful, as opposed to detail work. Of course, I didn't read the article that you mention in the episode. I'll go do that. Apparently it mentions poetry? As a final thought, I think comparing video games with other forms of art (theater, visual art, novels) is the way to go. I like the painting comparison quite a bit. The distinction between graphical fidelity and excellent art design has bee especially relevant lately, as I just started playing Wind Waker HD. The spruced up graphics are nice, but it's really the overall artistic style that makes that game special.